The default keyboard (stock keyboard) that comes on a device might not be a better choice for you. You always wanting something more. Without a good keyboard, your communication on a smartphone becomes easy. Finding the perfect Android keyboard as per your needs is not an easy task. How you select a keyboard? It depending on the type of typist you are. Today we are listing the best Android Keyboards apps for 2018. SwiftKey Keyboard is the best in this niche. SwiftKey Keyboard is a free, award-winning keyboard app, one of the best trace keyboards. One of the best advantages of SwiftKey Keyboard is it will personalize word predictions from your Gmail, Facebook, Twitter, Evernote that will deliver the best next-word prediction, smarter autocorrect. With SwifKey’s beautiful themes you can easily customize the look of your keyboard. Google Keyboard is the next in our list. The default keyboard has come a long way in its own right. 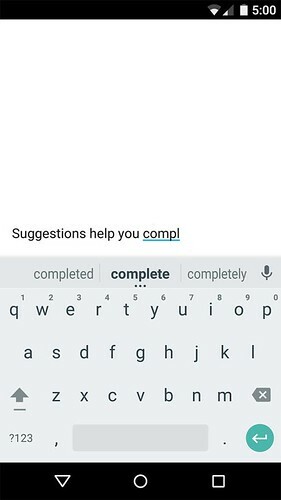 The Google Keyboard is completely free with amazing word recognition and next-word prediction. 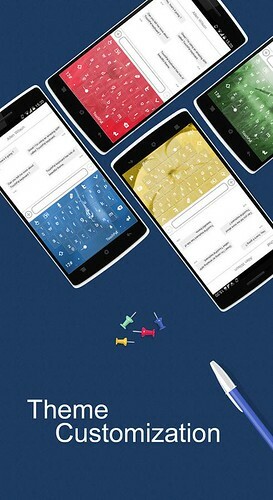 In Android 4.4 KitKat and up has gesture typing with dynamic floating preview that brings the you the best typing experience. Swype allows you to swipe out words or whole sentences. It supports typing in two languages at once, for bilingual users. Swype is not a free app but the trial version is good for 30 days. Swype allows users great customization d including long-press delay, vibration duration, keyboard height and mini left/right keyboards in landscape mode. Swype supports more than 71 downloadable languages and 20 dialects. Swype features three unique tablet keyboard designs that make Swype a best for your Android Tablet. Like Swype Keyboard app, you can try Fleksy free for 30 days with this trial. Swype comes with custom extensions that help you to customize your keyboard with incredibly powerful features. Navigate apps right from your keyboard with Launcher. Copy/paste, control your cursor, and more with Editor. 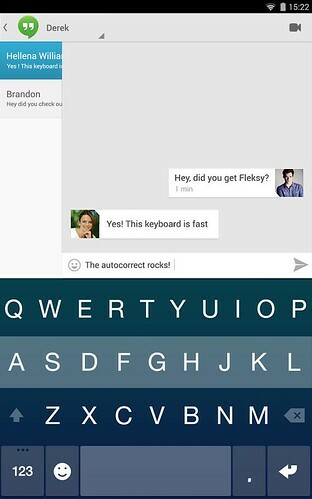 Fleksy is the only keyboard app now that supports GIF. Minuum started as an IndieGoGo project, now changed to smarter, smaller keyboard that lets you do more with your screen space. With Minuum Keyboard app you can monitor your typing speed and also instantly access thesaurus, dictionary, Google search, and share functionality. You can try Minuum for free for 30 days. TouchPal is a popular Keyboard app with over 10 million installs. TouchPal enhances next word prediction and other predictions by cloud computing. TouchPal supports over 85 languages and 900+ Emoji/ Emoji Art (big Emoji)/ Emoticons (Smileys).